Before I can find the part where it says the score I read about Per Mertesacker 'blasting' Mesut Ozil in a 'bust up' in every newspaper this morning. For someone who was on the moon yesterday and did not watch the game would have read about this ‘bust up’ before they knew the score – there for me is the problem. Despite being very disappointed at losing a massive game, it had nine goals and a neutral would have loved every minute – but the focus is on a player ‘blasting’ another. For me, it’s a bit of a non event. People that take it seriously clearly have never played sport, ever. I’m by no means any sort of a sportsman but just playing five a side every week has got me fired up and I’ve had words with someone on my team. That is sport. There is nothing wrong with showing passion on the pitch. Jack Wilshere was caught sticking a finger up at the City fans after getting some abuse – he shouldn’t have reacted and I am sure the club will accept the ban and he will learn from it. The game generally was frustrating because every time we looked liked we were in the game, we lost a goal. The third just after half time was a daft goal to give away and we gifted City it. The fourth goal started when a foul was given to City which was very soft. Sagna used his body to out muscle Nasri (same way Kompany did to Flamini moments earlier and the ref let the game play on) which was ridiculous. The ref / lino on our side had a shocker with the pen shout and the ‘offside’ goals. 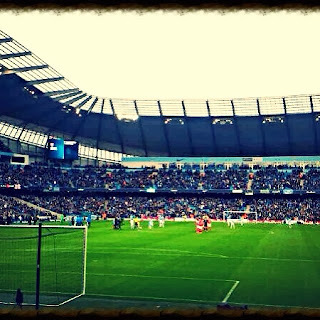 Manchester City are an awesome team and their home record shows how strong they are. 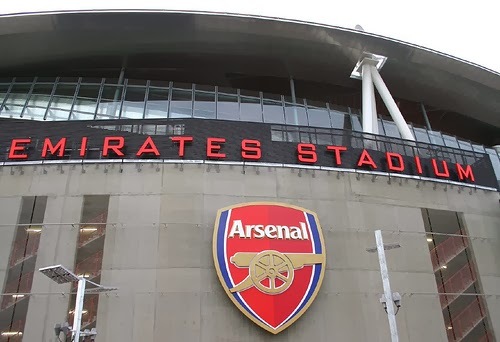 It wasn’t the best day in the office but Arsenal now have eight days to recover and regroup which I am sure they will do and come back to go again. Home form is absolutely vital and it is very important we continue to compete and win these. Mesut Ozil has been a talking point and he has been in and out of games recently but has produced some moments which have created goals. I have no doubt there is much more to come and anyone that saw him play regularly in Spain will know this is probably only his first gear. Like anyone else (can cost 4m or 40m) who comes from a foreign country to play in England takes time to settle and Ozil is no different. For me, he is our man and I’ll continue to back and support him – not clapping fans is a small issue for me and all I care about is him giving 100% in the next game and trying to influence the game and help get three points for our club. I know it sounds a bit cliché and Wenger like but it really is time to stay together and stay behind the team. The last few seasons, all I’ve wanted is it be up there rather then ten points behind wishing we were involved – the rest will do us good and I have no doubt the team will be back and ready to go a week on Monday for another HUGE game.